"An award-winning men's fashion retailer, Ronn Teitelbaum launched the first Johnny Rockets on June 6 1986 in Los Angeles, California. He founded the concept on the belief that everyone deserves a place where they can escape from everyday's complicated world and experience the uncomplicated goodness of classic Americana". Question: How well do you remember the American Sitcoms "Friends" & "Seinfeld's" Coffee house / Coffee shop? Lets see if what you recall and my description make a match ;) Do post your feedback / comments at the end of this post. 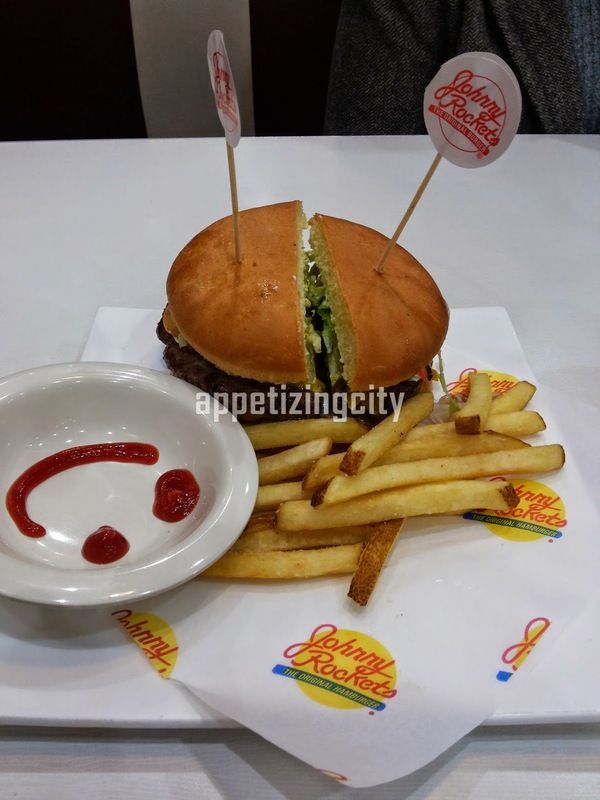 I make my foodie trips to establishments that are worth a special trip and Johnny Rockets has been in my Wish-list from long. Two things that every foodie keeps in mind - Taste and Price (that will make it all worth). 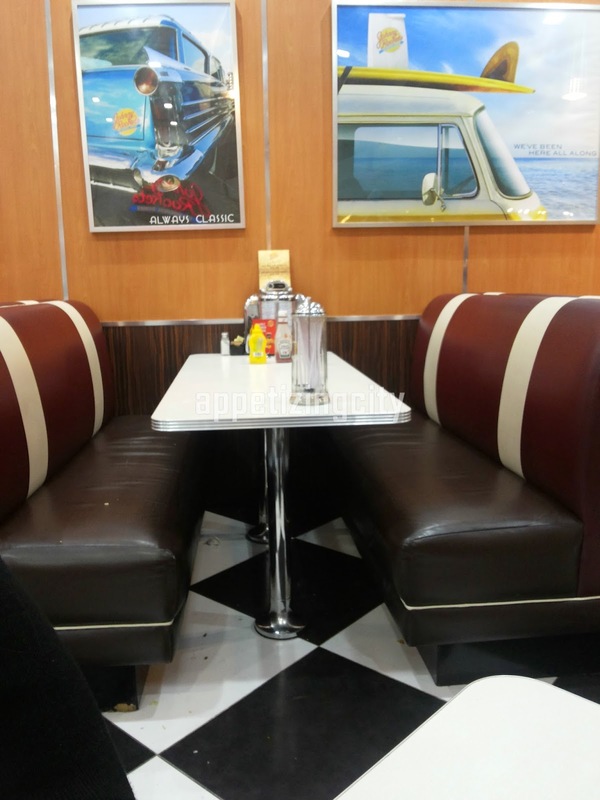 As we entered, Johnny Rockets, we felt like we had entered a Classic All-American Diner. Chequer-board black & white tile floor, wooden furniture seating, brightly lit interior, chic wine colored wine stools taking their own pride, loud music, a colorful jukebox, couches and several chairs and tables, retro pictures on the walls. 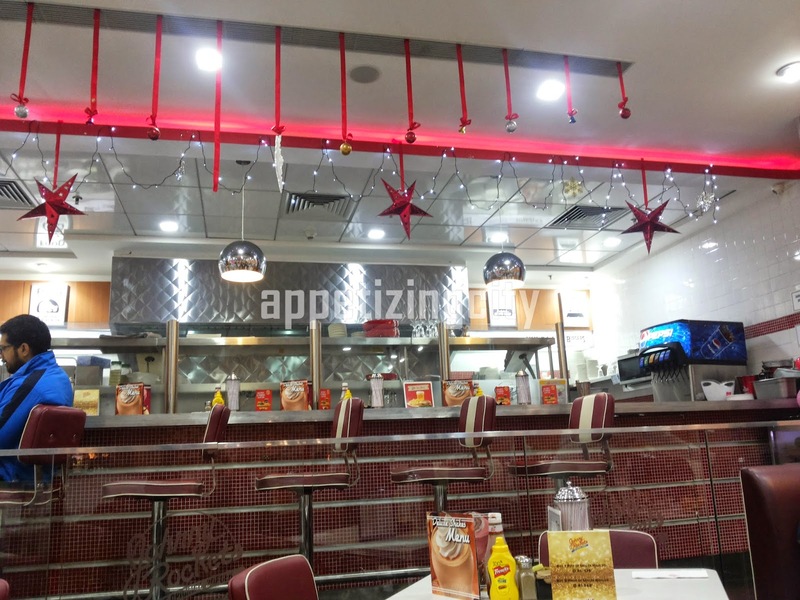 The staff wears a uniform that stands out, the Management and the Staff Members are well versed with the food items on their menu.The Restaurant Manager, Mr Harmeet Singh Ahluwalia mentioned about Master Chef Bakshish Dean and his vivacious wife. There are decorative stainless steel wall hangings, old school tagline posters. 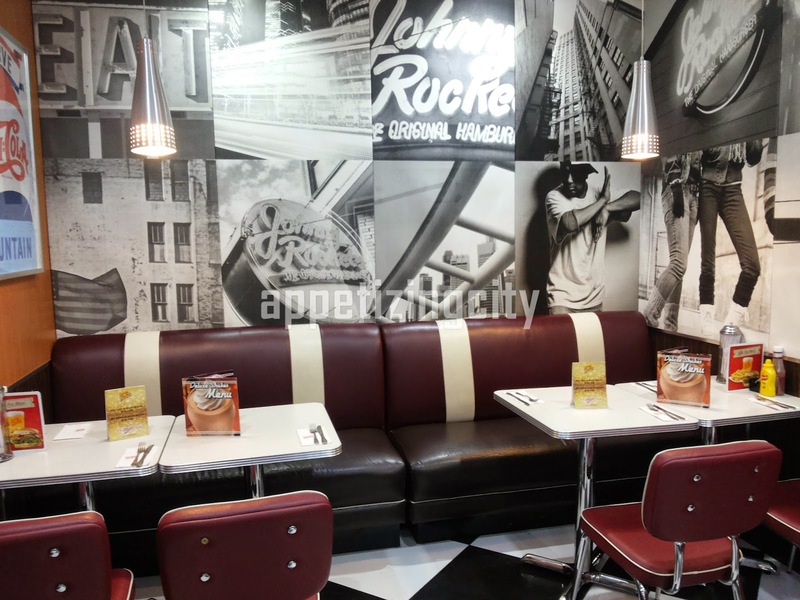 Menu - has a wide selection of Burgers, Wraps, Fries, Wings , Shakes and much more. All that adds up to fun - friendly- family - dining experience. 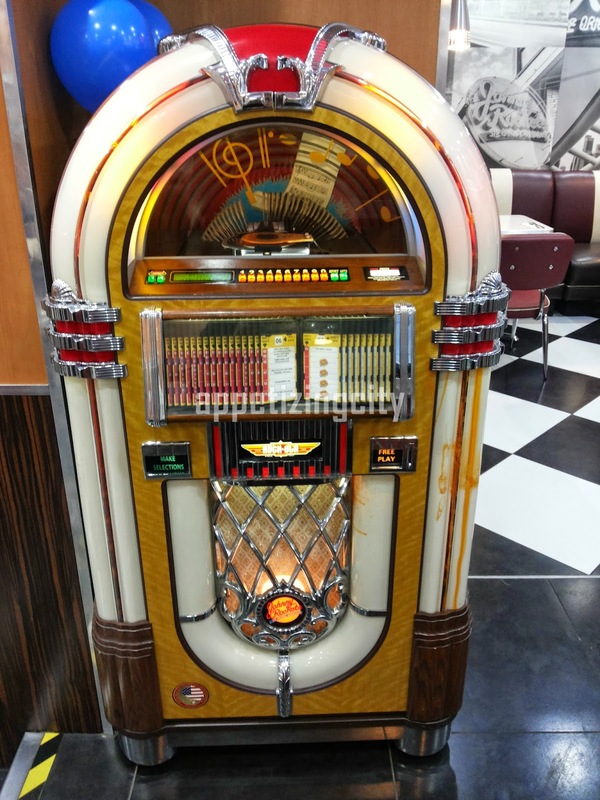 After-all, there is no other cafe in the Capital that has servers that twirl like straws, squeeze smiley faces onto your plates and if you are lucky they will dance gracefully to music from a Jukebox spinning hits from 1960's to 1990's with good moves. 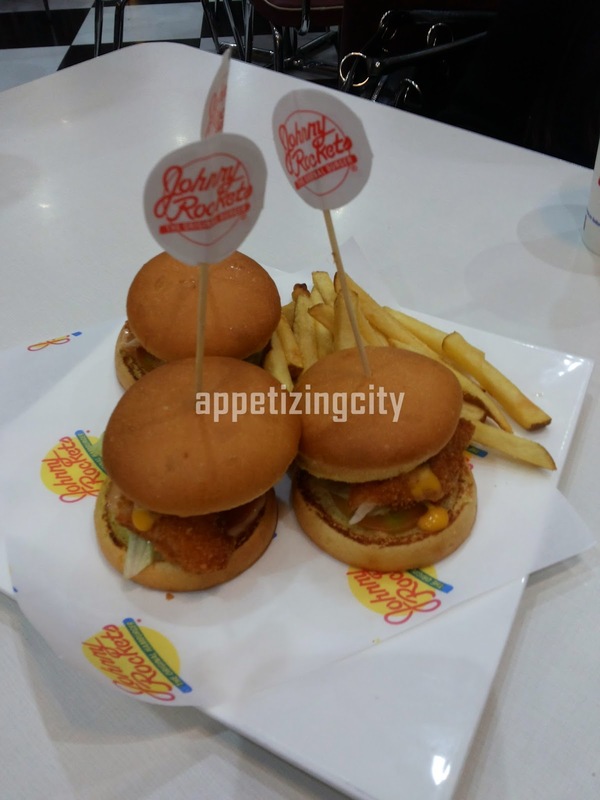 We had already had our dinner in the mall yet Johnny Rockets was alluring us to have a second round. Usually the first impression with cafes that serve burgers never seem to have enough choices. 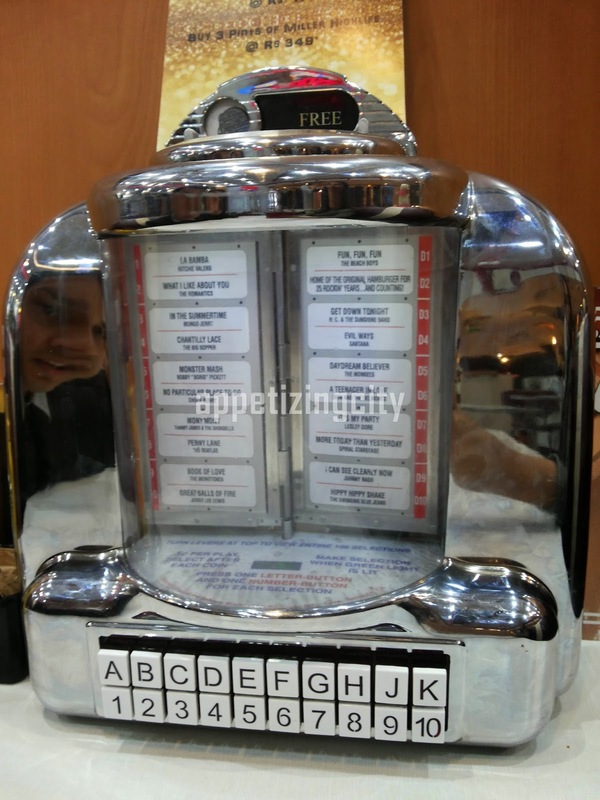 But, Johnny Rockets to our surprise has a wide selection. From Rocket Wraps to Philly Cheese Steaks, Shakes to Chocolate Sundae Ice Cream, Burgers, Salads, Fries. They also have a kids special selection. Chef Bakshish Dean, is also the CEO Prime Gourmet, the Brand's Franchisee for India. The server then came with the Tenderloin Burger, a Slider is a set of 3 Mini Burgers which includes Cheddar Cheese, Iceberg Lettuce, Fresh Tomato, Onion and a special sauce (chose between Crispy Chicken / Tenderloin or Crispy Potato), a Cadbury Gems Deluxe Shake and a Hershey's Chocolate Original Shake. 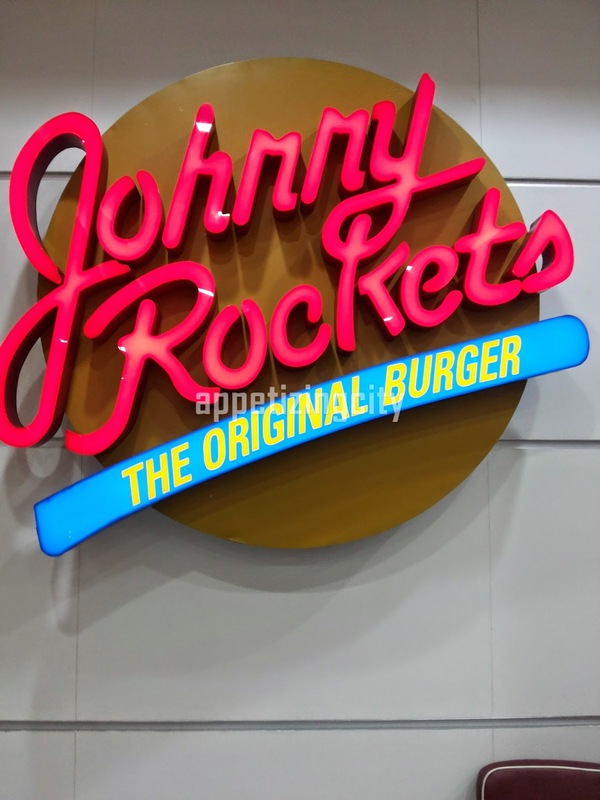 Personally I would recommend Johnny Rockets. It is miles ahead of any other Burger joint. The next time I wish to savour the exotic American Food I know where to go. Often its said, "Laughter is sparkling where food is good and even better when ambiance is enchanting". So, getting back to the question I asked before. Am I close enough or is there is a match?